You may have come across this page because you were referred by a physiotherapist, osteopath or physical activity trainer I know. I am very excited about this programme as I really do believe that having something to support the way our minds think and feel can be so useful to complement activities that enhance physical well-being. My belief is we can't separate out the mind (+ our emotions) and body - they are all part of one system and the more we seek to address both, together, the greater our chance of success. 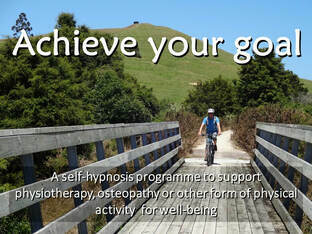 This 'Achieve your goal' programme has already gone through various beta-test versions and is now ready for it's final phase where selective people are being invited to try it out and then give feedback on it's effectiveness to work alongside other specialist treatments they may be undertaking. To access the recordings within the programme please fill out the contact form below. You will then receive a further link where you can log-in and download the files onto your computer, phone, MP3 player or other digital device. 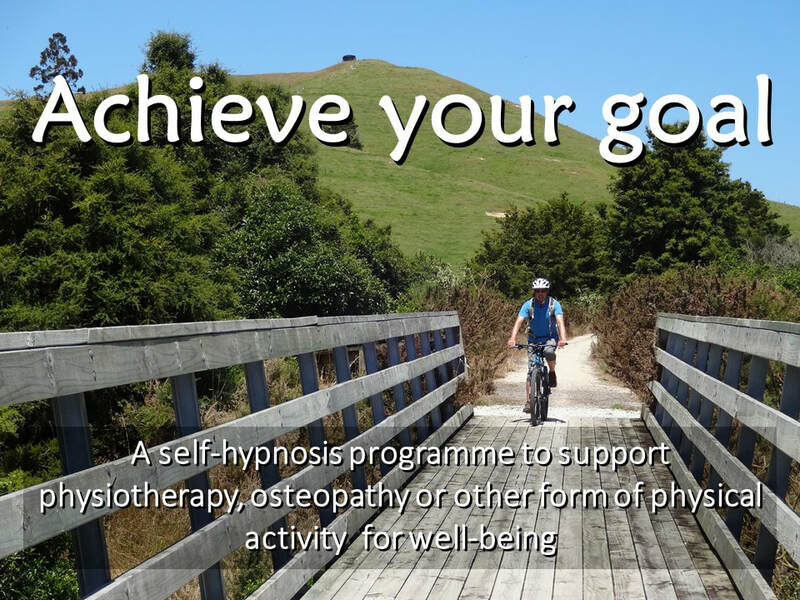 Overall, it's a programme that is designed to increase your energy, connectedness and self-empowerment and help you feel emotionally, physically and mentally, more in control and well.